But, without knowledge of the spirit realm, what is it, how are we related to it, why are we on this planet, why must we have multiple lives, why do bad things happen to good people and good things happen to bad people – the answers to all of the above and more, provides the foundation for rational responses to life’s vicissitudes and sets your character and personality on track. On track to have a strong will, to focus your energies for good, always on the side of the light. I am writing this, only because I have researched and studied anything I could find about the spirit world. I have written before how predictions about my future, told to me by my wife, came true. Detailed predictions, not general nonsense, like you will be successful, etc. She had her revelations during a near death experience. She saw her future and, of course, my future as her husband. When I finally realized, after many years of disbelief, that she was one hundred percent accurate, I had to cast off my old certainty that life was a series of chaotic events and personal choices – sometimes you could guide your own destiny, other times, happenings too large to withstand, pushed you onto other paths. But with my future laid out before my eyes, I had to reconsider all of my past notions. I had built up rules, certainties that had been the basis for my philosophical and moral code. The fact that the future was known demolished everything I had constructed. I started first with how could destiny be pre-written? I searched books, the internet, and talked to people. There were religions which believed in predestination and there were scientists who believed that we are actually living in a 3D hologram. I read it all. I instinctively understood, that if the future was pre-written, then a higher civilization must be writing it. To us, we could call it God, the Supreme Being, the Supreme Intelligence, the Spirituality, or any other name denoting an organization and a process that we did not understand. But I had to gain at least a partial hint of what was directing my every move. Because if life was planned, then it had to have a purpose. If life has a purpose, then each one of us is traveling toward a goal. Therefore, what is our goal, why make such an enormous investment in humans on this planet? These questions burned inside me. I reread the Bible, the Old and New Testament, I read about Buddhism, Islam, Hinduism, and many Spiritual texts. Only after I started exploring near death experiences and messages from spirits communicated through mediums, that I started to get a sense that a spirit realm existed and was driving humanity. Then I found The Spirits Book, by Allan Kardec. He was not a medium, but he was fascinated with the communications he heard while he was present in medium meetings. Then he was told by high level spirits that he had a mission. He wrote up a list of questions, that he provided to many mediums in various cities throughout Europe. He compared the answers to the same question from different mediums and only published those responses which were similar. The Spirits Book was an astonishment to me. I didn’t get vague homilies or fuzzy descriptions of angels or the afterlife. I read logical explanations for our world, the spirit world and the human condition. From there I searched out any other Spiritist literature I could find. I found out that while Spiritism was codified in the 1850s by Allan Kardec and enjoyed a brief success, however, the Catholic Church and other religions did their best to stamp it out. Whereas in Europe and in America they were mostly successful, Spiritism sprout back up in Brazil. Many marvelous mediums and people, such as Dr. Bezzera de Menezes, who rekindled Spiritism in Brazil, helped keep the light of Spiritism lit. But, it was Francisco (Chico) C. Xavier who made Spiritism widely known throughout Brazil during the twentieth century and whose books I have so relied on to study Spiritism. Since discovering him, I have found other authors, all Spiritist mediums, who are dedicated to bringing forth messages from the spirit realm to lead us to knowledge. I have found that as I have learned more, I am able to intellectually modify my inner character for the better. Whereas, the usual method to make drastic changes to your belief system and personality is accomplished via a significant hardship or a shock to your system, wherefore you are forced to reevaluate your past ideals. Studying, involved analysis and pondering over what I just read has not only added memory circuits to my brain but my super-ego, ego and id are in the process of being rewired … for the better. Because now, I know my purpose, your purpose, and humanity’s purpose. However, for most of us, we live a life in pursuit of earthly pleasures. Unaware or disinterested in spiritual growth. How many lives I have wasted? I shudder to know the truth. 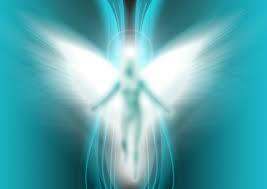 “A spirit presented itself spontaneously to the medium under the name Angele. 1.Have you repented your wrongs? Then what do you lack? While admitting that their mental state is unbearable, some spirits consider suffering to be only that which reminds them of physical pain. 2.How is it that you lack peace in the spirit life? Regret of the past means remorse. Have you repented then? 3.Would you be willing to tell me what you did during your last existence? Perhaps that would help me to enlighten you. 4.What was your social position? Did you zealously fulfill the duties of both positions? Who looked after your house? Isn’t it in the uselessness that you might find the cause of your regrets and fears? Agreeing is not enough. Would you like to atone for that useless existence by helping the guilty spirits suffering around us? By helping them improve themselves with your counsels and prayers. We will do it together; you will learn. Would you like to? Spiritist call this being parked. It is merely surviving, learning little, doing little, contributing little. It is the act of wasting one’s time in a physical body on earth or in the spirit world. It delays one’s ascendance. The male form of being parked is similar and also bleak. It involves the pursuit of pleasures, of using people for their own satisfaction and of ignoring everything else. Be it their wives and children or even family and friends. The central theme of parking is the lack of spiritual growth. Learning nothing from the planned life presented by the spirit realm. The lack of analysis and interest in those close to you. And the utilization of whatever is around you in the search for personal pleasure above all else. Her advice is pertinent to all of us – to be, to learn, to do, and to live together – not to be lost in an internet haze of idle conversation, propaganda, or games. “Christ said: ‘Let your light shine.’ (Mathew 5:16) And it is He, the Divine Master, Who is our Sublime Guiding Light in the evolution of this planet. People used to believe that the Lord’s advice was only a mystical call urging superficial worshippers within orthodoxy to believe in a supposed individual prominence to be acquired after death, upon entering an imaginary celestial court. However, today we recognize that His lessons should be applied in all situations of everyday life. Nowadays earthly science recognizes the presence of light in all places. A deeper study of the human body has revealed that it is more a vehicle of energy than it is a state of matter; a compound of infinitesimal particles reciprocally attracting and repulsing each other causing microscopic explosions of light. Chemistry, Physics and Astronomy have demonstrated that terrestrial man lives and moves amidst a realm that is crisscrossed by rays. In this glorious domain of energy, we have our mental radiation’s conditioning the elements through which life is expressed. Thought is a creative force projected by the person who generates it, by means of subtle waves, in circuits of action and reaction. This is as measurable as the photon which, on receiving impulse through the luminous system it produces, travels through space at a predetermined speed, this sustaining the glowing Breath of Creation. Again we say the human mind is a mirror of light which projects and assimilates rays. However, this mirror is more or less a prisoner of the thick shadows of ignorance, just as before excavation a precious stone is encrusted by subterranean sediments. In order to be able to give off celestial irradiations and project its own brightness, it is indispensable to cast off this layer of darkness through a process of perfectioning and enlightenment. Hence the real need of education for everyone. Let us also remember the words of the Eternal Benefactor when He said ‘Let your light shine!’ Meaning that the potential of light in our Spirit should shine to its fullness. Such a state can only be reached through the kind of education that will offer the required improvement. Emmanuel makes it perfectly clear that our spirit is energy – encapsulated energy – which is distinct. In our energy form we are a “personality”. Our spirit can be modified by our sojourn on this planet. In fact, the only baggage we can take with us after death is the accumulation of modifications to our core personality. When we dedicate ourselves to learn and to evolve spiritually, we aren’t just adding more memories to the synapses of our brain. 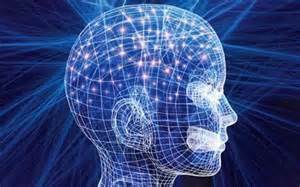 We are reprogramming our core … the central us, our personality, which will return with us to our real home – the spirit world. As with so many sayings of Christ, Spiritism reveals the hidden meanings. Jesus knew full well about the spirit world, but he couldn’t expose the whole extent of what it was or what it means. The society of that time wasn’t ready. Even now, we are given drips and drabs of information. Spiritism tells us that as we learn and gain wisdom, more will be forthcoming. Hence, Jesus well understood that letting your light shine meant to rewire your central core. To reeducate yourself, away from primitive instincts, to altruistic leanings. As you ascend spiritually, the reflection of love from your personality, is brighter. This is why high angels appear as bright as headlights and most humans on earth appear a dull gray. Emmanuel lets us know that we are always connected. 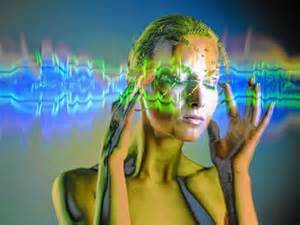 Energy, rays from our thoughts leave us and in return we are bombarded with the thoughts of an infinite amount of other creatures. All data is at our command, when we learn to utilize it. Therefore, taking a class for a quarter or semester, listening to a lecture, watching a video are all edifying methods to acquire knowledge. But it takes a real introspection and a desire to change your core to really grasp the golden ring of serenity. “To be born in a new body is to unfold one’s possibilities to obtain self-consciousness, liberating oneself from rough condensations of ignorance. That effort occurs through the hurtful injunctions of illnesses, which are depurative processes that free one from the lower stages in which one moves about. What Joanna is telling us is that our trials and tribulations point to the path we should pursue. A lesson plan has been created and reviewed in the spirit world – we just need to follow it. The challenge is to analyze the hardships you encounter and then identify the weaknesses in your character your trial was attempting to expunge. I will use myself as an example. Multiple times in my life I was able to receive a nice sum of money. I was in a relatively high position and when the company I was working for was bought out, I was entitled to a payment when I was released. I was given six-figure amounts two times in my career. I counted myself very fortunate. Each time I thought I had made prudent investments, and yet I invariably lost what I had gained completely! I was devastated. I was subsumed by anguish and remorse at having lost such a sum. I couldn’t think of anything else but my wasting a once in a lifetime opportunity. When I studied Spiritism, I found the answer. I was given those trials to demonstrate to me two main points. First, I was shown what it felt like to lose a considerable amount of money. In reading the books by Francisco C. Xavier, I learned where we must rectify our errors in past lives. I knew, and was later told in a Spiritist mediums meeting, that I had taken money, unjustly, from others. Hence, I was fortunate to experience what I had done. Now I know how it feels and how wrong it is to take from others, what they have so painstakingly worked for and had plans for. My avarice was a black hole in my heart. And it had to be removed. Secondly, I was presented with the message that material wealth is second to spiritual wealth. The second time I lost my little fortune, I soon found my wife and Spiritism. The pain from allowing money to slip from my hands disappeared as I encountered the truth. That any material gain wouldn’t accompany me to the other side. Only my actions and the alterations to my character. That love on earth is indescribably superior to money in the bank. Nothing can replace love. You can always make enough money to survive. If I hadn’t sought out and studied Spiritism, I would have not adequately learned the lessons provided me. While I would have been more sympathetic when people lost their fortunes, I wouldn’t have understood, in my heart, the transitory nature of wealth and the overriding primacy of love. Only by analyzing the situation and pondering what it means to your level of spirituality, can you derive the full extent of the object lesson provided. Fully taking advantage of the intimate classroom experience, provided you by the other side, will enable you to accelerate your spiritual growth. “In order to end suffering, it is essential to acquire a responsible attitude capable of going back to the origins of the suffering, analyzing them and working them out with planned, purposeful direction. Hence, causally listening to the lesson, while distracted with the pleasures of life will cause your next life to be similar to your present life. Failing the class means the lesson must be repeated. On the other hand, internalizing the information provided and its cure, will result in a reward in heaven and in your next life. There is no better return on your time on earth than investing in your spiritual education.